help clients reacquaint themselves with their body. My services are offered at the Spine and Joint Rehabilitation Associates of Alaska Monday, Tuesday, Thursday, Friday and Saturday. They accept insurance for my services as a Manual Therapist. There number is 907-646-7653. I work in my own Private Practice one day a week (Wednesdays). I am a Certified Advanced Rolfer™ and a Manual Therapist licensed in the State of Alaska with a vast amount of training. My certifications in addition to being a Certified Advanced Rolfer™ are being a Rolf Movement Practitioner™, Certified Advanced Myofascial Technique Practitioner, and Certified Cranio-Sacral Therapist. I have formal training in Neuro Mobilization, Osteopathy, Pain Science, Visceral Manipulation, and Source Point Therapy. These trainings allow me to offer not only hands-on structural integration work but subtle coordinative, energetic, and perceptual work to help clients reacquaint themselves with their body by reducing, if not eliminating, aches, pains and limitations in their daily lives. I also am an Instructor at the Rolf Institute of Structural Integration. If you have a chronic condition, such as back pain, chronic pain, stiffness, stress and arthritis, three or more sessions are suggested so the patterns and compensations that put stress on the body’s structure can be addressed. Ten sessions of Rolfing® allows us to accomplish a much more cohesive change in your entire structure. Watch your body become reconstructed, giving you the confidence that comes from your body to looking and feeling healthier. NEW YORK, NY, December 9, 2011 — Anchorage Rolfing® has been selected for the 2011 Best of Anchorage Award in the Health & Medical Services category by the U.S. Commerce Association (USCA). NEW YORK, NY, April 20, 2012 — For the second consecutive year, Anchorage Rolfing® has been selected for the 2012 Best of Anchorage Award in the Health & Medical Services category by the U.S. Commerce Association (USCA). Nationwide, only 1 in 70 (1.4%) 2012 Award recipients qualified as Two-Time Award Winners. Various sources of information were gathered and analyzed to choose the winners in each category. The 2012 USCA Award Program focuses on quality, not quantity. Winners are determined based on the information gathered both internally by the USCA and data provided by third parties. NEW YORK, NY, May 7, 2013 — For the third consecutive year, Anchorage Rolfing® has been selected for the 2013 Best of Anchorage Award in the Health & Medical Services category by the U.S. Commerce Association (USCA). ANCHORAGE April 23, 2014 — Anchorage Rolfing® has been selected for the 2014 Best of Anchorage Award in the Health & Medical Services category by the Anchorage Award Program. 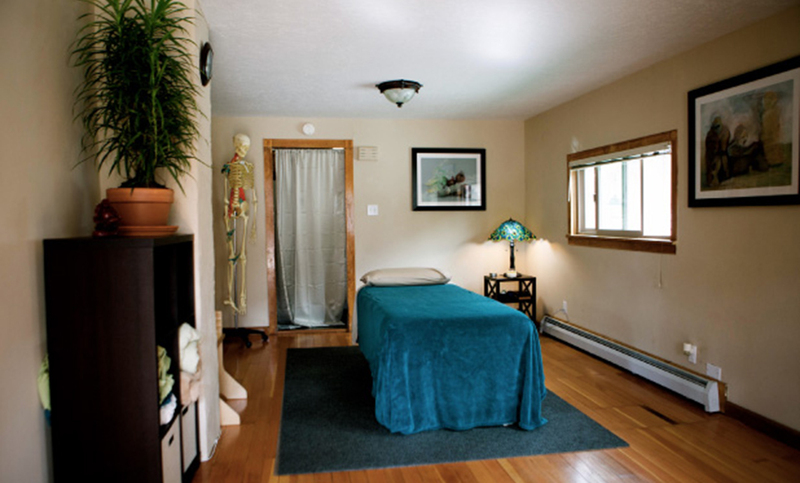 ANCHORAGE 2015 — Anchorage Rolfing® has been selected for the 2015 Best of Anchorage Award in the Health & Medical Services category by the Anchorage Award Program. Various sources of information were gathered and analyzed to choose the winners in each category. The 2015 Anchorage Award Program focuses on quality, not quantity. Winners are determined based on the information gathered both internally by the Anchorage Award Program and data provided by third parties. COLORADO SPRINGS May 18, 2016 — Colorado Springs Rolfing® has been selected for the 2016 Best of Colorado Springs Award in the Rolfing® category by the Colorado Springs Award Program. Each year, the Colorado Springs Award Program identifies companies that we believe have achieved exceptional marketing success in their local community and business category. These are local companies that enhance the positive image of small business through service to their customers and our community. These exceptional companies help make the Colorado Springs area a great place to live, work and play. Various sources of information were gathered and analyzed to choose the winners in each category. The 2016 Colorado Springs Award Program focuses on quality, not quantity. Winners are determined based on the information gathered both internally by the Colorado Springs Award Program and data provided by third parties. The Colorado Springs Award Program is an annual awards program honoring the achievements and accomplishments of local businesses throughout the Colorado Springs area. Recognition is given to those companies that have shown the ability to use their best practices and implemented programs to generate competitive advantages and long-term value. The Colorado Springs Award Program was established to recognize the best of local businesses in our community. Our organization works exclusively with local business owners, trade groups, professional associations and other business advertising and marketing groups. Our mission is to recognize the small business community’s contributions to the U.S. economy. ANCHORAGE, 2016 — Anchorage Rolfing® has been selected for the 2016 Best of Anchorage Award in the Health & Medical Services category by the Anchorage Award Program. Various sources of information were gathered and analyzed to choose the winners in each category. The 2016 Anchorage Award Program focuses on quality, not quantity. Winners are determined based on the information gathered both internally by the Anchorage Award Program and data provided by third parties. COLORADO SPRINGS, March 2nd, 2017 — Colorado Springs Rolfing® has been selected for the 2017 Best of Colorado Springs Award in the Rolfing® category by the Colorado Springs Award Program. Various sources of information were gathered and analyzed to choose the winners in each category. The 2017 Colorado Springs Award Program focuses on quality, not quantity. Winners are determined based on the information gathered both internally by the Colorado Springs Award Program and data provided by third parties. ANCHORAGE, 2017 — Anchorage Rolfing® has been selected for the 2017 Best of Anchorage Award in the Health & Medical Services category by the Anchorage Award Program. Various sources of information were gathered and analyzed to choose the winners in each category. The 2017 Anchorage Award Program focuses on quality, not quantity. Winners are determined based on the information gathered both internally by the Anchorage Award Program and data provided by third parties. COLORADO SPRINGS, 2018 — Colorado Springs Rolfing® has been selected for the 2018 Best of Colorado Springs Award in the Rolfing® category by the Colorado Springs Award Program. Various sources of information were gathered and analyzed to choose the winners in each category. The 2018 Colorado Springs Award Program focuses on quality, not quantity. Winners are determined based on the information gathered both internally by the Colorado Springs Award Program and data provided by third parties. ANCHORAGE, 2018 — Anchorage Rolfing® has been selected for the 2018 Best of Anchorage Award in the Health & Medical Services category by the Anchorage Award Program. Various sources of information were gathered and analyzed to choose the winners in each category. The 2018 Anchorage Award Program focuses on quality, not quantity. Winners are determined based on the information gathered both internally by the Anchorage Award Program and data provided by third parties.